A short day today - a measly forty miles - thanks to rain. And laziness. 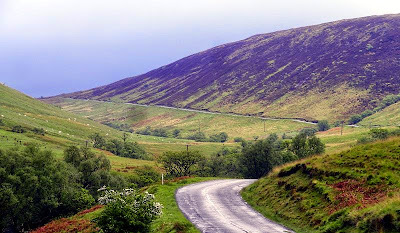 From Lochranza it was a long slow climb up Glen Chalmadale (picture) before a short fast descent down the other side to a few miles of lovely waterside cycling. The road was often unfenced right over the water's edge, so I dared'n't concentrate too much on singing Seekers songs in the wrong mode, Shostakovich-style. From Brodick, capital of Arran (ie it has shops, which Lochranza didn't) I got the ferry with lots of other cycle tourists back to the mainland at Ardrossan. 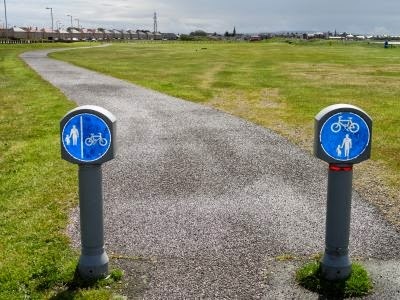 Following the Sustrans path gave me a meandering conspectus of characteristic British views I hadn't seen over the previous few days - housing estates, factories, scruffy parkland - and this puzzling pair (picture) of contradictory signs in Troon. 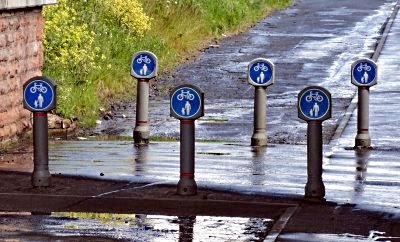 A little further north, to prevent any such misunderstanding, was this set of signs (picture) for a two-metre-long underpass. 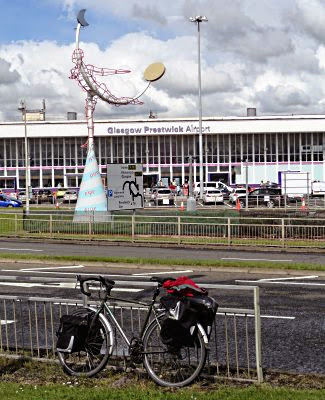 En route to Ayr, and the siren call of the cheap hotel I remember from last year's End to End, the Sustrans Route took me right past Glasgow Prestwick Airport. This is famous as the site of Elvis Presley's only visit to British soil, in transit from military service in Germany back the US. Apparently his main reaction on setting foot was, Where am I? Prestwich is in Manchester. 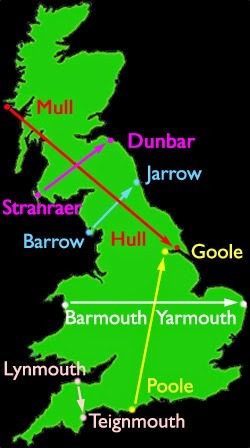 Prestwick is an airport supposedly near Glasgow. Amended. Not easy to type accurately, you know, when you've been battling the elements. Trace elements, such as those present in real ales in Ayr Wetherspoon.